Steven Moffat has explained why he felt it was time to shake Doctor Who up by bringing in a more dangerous and difficult Doctor in the form of Peter Capaldi. Its very easy to think that what this all means is that the 12th Doctor will be much angrier, shout-ier and swear-ier based on Peter Capaldi’s infamous character Malcolm Tucker, but Capaldi’s acting skill extends far beyond raising his voice to a few Daleks, before insulting their mothers. If anything, I predict that this incarnation will be much more argumentative, he will question so much more. 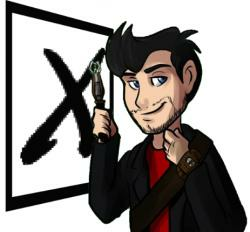 Hes an older version, gone is the whimsy and flippant charm of Smith, replaced by an assertive, more assured Time Lord. He has the universe in the palm of his hand – or at least he thinks he does – which makes him so much more of a difficult Doctor. He knows Galifrey is out there somewhere waiting to be discovered, it no longer burned in the final days of the Time War so the weight of his actions no longer bear down on him, which allows him to be much more free. Remember how much fuss was made in The Day of The Doctor over how destroying Galifrey had prompted the Doctor into doing all he could to save everyone? The number of chances the 9th, 10th and 11th incarnations all gave to their enemies? Heck – even the 10th Doctor was willing to give his own life to give the Sontarans – a race of aliens hellbent on war and conflict no matter what – a chance to back down. But Galifrey is safe, so what does this mean? Will Capaldi’s Doctor no longer be so merciful? And perhaps the pressure and frustration of knowing his home planet is out there somewhere, yet he is unable to locate it, will add to his darker personality? Of course in the end he’s the Doctor, a hero for a whole new generation to quote Zoe Ball, so it wont be all darkness. Im sure there will be time for some fun and zany antics – just dont expect him to pick up a bowl of fish custard any time soon. Perhaps this will be a much more “serious” Doctor, without the need for an eccentric costume, catchphrase or snack of choice. A radical departure is just what the show needs – one thing I love as a Doctor Who fan is the shows ability to constantly change and re-invent itself, just look at the revived series alone. Compare the 9th Doctors first story “Rose” to the 11ths introductory episode “The Eleventh Hour” and you’ll see just how polar opposite they are. But the character has recently retained some child-like mannerisms over his last few regenerations. Tennants Doctor coined the phrase Timey-Wimey, which was then used in abundance by Smith, along with such additions as Spacey-Wacey and Sciencey. This was addressed in the 50th Anniversary episode, with John Hurts War Doctor appaled that his future incarnations behave like children. And perhaps the events of The Day of The Doctor offer us another clue to Capaldi’s take on the role. Its heavily implied that the reason the Doctor has been looking younger and younger with each regeneration is because he despises The War Doctor for supposedly destroying Galifrey, but as we learn in the anniversary episode he actually saved the planet, but due to convenient time line converging he (and his future incarnations up to Smith) forgot that he had helped prevent its destruction. So with each regeneration the Time Lord has gone for a much more youthful appearance as he is mentally and physically attempting to distance himself from his War Doctor persona as much as possible – so he looks younger and acts like a child. But now those demons have been laid to rest he feels much more comfortable in “classic” mode with an older appearance. We know that episode one of series 8 will feature incumbent companion Clara, plus returning fan “favourites” Vastra, Jenny and Strax, so the Doctor will be surrounded by characters familiar to the viewers, which allows Moffat to really give us a new take on the character without completely alienating the audience. For once, I find myself agreeing with Moffat, at the end of the day Doctor Who is a show with one constant – change, which is a pretty good life lesson for younger viewers if you ask me. Its very seldom in life that things remain the same, so why should Doctor Who? Why should the Doctor? After all – a change is just as good as a rest.